InfinityAT™ Charts, integrated with the InfinityAT™ trading platform, is a complete and professional trading platform supporting manual, automated and simulated trading. Create and customize advanced intraday and historical charts. Charts user interface are fully customizable and include, hundreds of studies and indicators (300+), and all of the major studies, drawing tools, and more. Infinity Futures and the third party educators mentioned herein are separate, unaffiliated companies. Infinity Futures is not responsible for the services and products offered by these third party educators. Evolving from the classic benchmark ASCTrend indicators, AbleTrend 7.0 is a fully automatic trading system. It provides 100% objective buy/sell signals and stops for financial markets. AbleTrend 7.0 signals are based on time-tested ASCTrend technology and statistical back-testing performance reports. Savius, LLC is a boutique proprietary trading firm with headquarters in Chicago and traders in the US and Europe. Savius' core business is focused on creating absolute returns on the firm's capital by trading a diversified portfolio of futures and options contracts. The emoji trading Order Flow Suite provides a set of indicators for Sierra Chart utilizing methods for interpreting traded volume. By combining these indicators with Sierra Chart Numbers Bars, a trader is able to make well-informed trading decisions based upon the traded volume activity of other traders resulting in low risk entries and timely exit decisions. Indicators may also be applied to regular bar and candlestick charts as well as Renko and Heiken Ashi charts. Rob Hoffman is the Founder and CEO of Become A Better Trader, Inc. His trading tools are available for Infinity AT chart users. 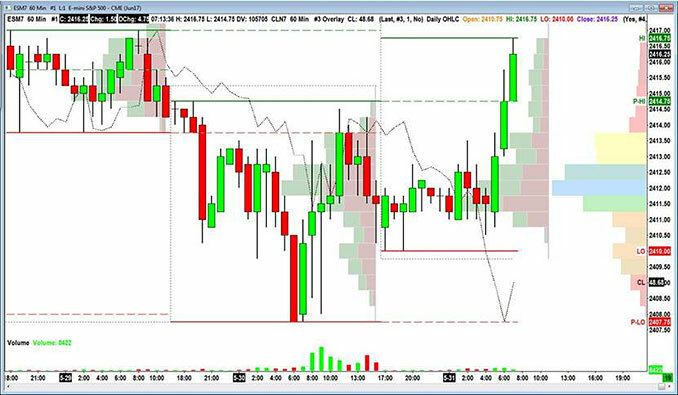 This analytical tool focuses on both intraday and swing trading strategies for futures traders. TradeGuider is working on another offer, check back soon! The SSTS program was created to assist new traders and struggling traders on a transformational journey to help them become more successful at trading futures. We use Proprietary Indicators on the AT Charts for training and to trade the S&P 500 E Mini contract. Experienced traders find our Simple Charts refreshing. MyTradeAssist is a Gray Box, plug-&-play algorithm created by Quant System Trading specifically for the independent private trader. MyTradeAssist is extremely easy to set up: plug in your general trading idea, and let MyTradeAssist spot opportunities, and automatically manage the trade for you. ValueCharts proprietary ValueLevels™ can be used as a tool to track the traditional price bars for one timeframe (one data compression) and track the valuation levels from a different timeframe (different data compression). Bookmap is an innovative visualization platform which sets new standards for market data visualization. Bookmap visualizes the order book and order flow using a configurable heat map display in an attempt to deliver transparency into today's algo driven markets. Liberate your life and your mouse-finger. You no longer have to wait for your setup, rather, you can have a bot wait for you. A bot that will pounce ever more quickly than a mere humanoid could. You'll get an email once a week. Infinity Futures, LLC is an Independent Introducing Brokerage firm. Infinity is headquartered in Chicago, Illinois. Founded in 1995, Infinity has been providing customers from around the world access to the global derivatives markets.